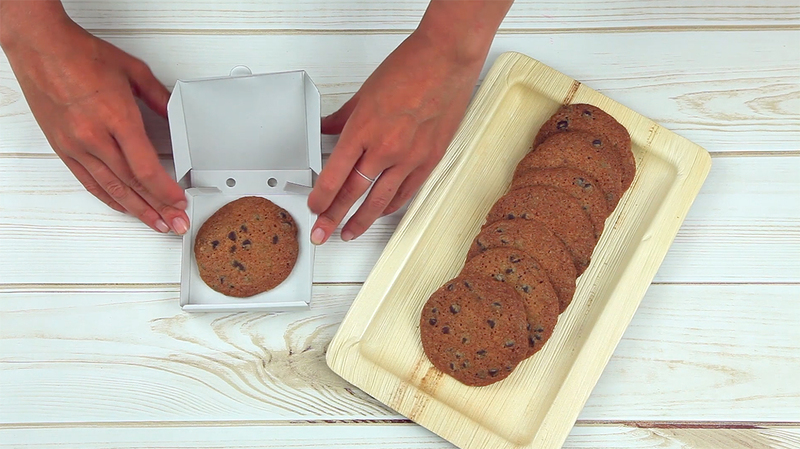 Perfect for mini pizza, cookies or mini food, our white cardboard mini boxes are grease resistant and microwavable. Size (inches): 3.5 X 3.5"
Product Size 3.5 x 3.5"
This is my 2nd time ordering these boxes and I LOVE them. I use them to place individual pizza cookies in and make a sticker for the top - They're perfect. This company is one of the best I've ever worked with: when I first ordered these they were backordered and the company wrote to me to let me know and when I expressed my timeline crunch they kept me posted and got them to me overnight so that I could have them in time. Thank you for not only providing an amazing company but for having customer service that exceeds all expectations. Very happy with the product love them and they fold up so perfect!!! Great quality boxes perfect for mini deserts, cookies or goodies. I got these to use as favor boxes for my 3 year old's TMNT themed birthday. I made a cute label for the top to make them look like tiny pizza boxes. Inside is a TMNT cookie. So cute and everyone loves them! I had a pizza themed birthday party for my 9 year old and we had the kids make pizza cookies as a part of their take home gift and we used the boxes for them to take them home in. I've gotten rave reviews from friends and family. Great Quality products. Perfect mini size pizza box for mini treats or mini desserts or mini pizza cookies. Used for ninja turtle pizza party theme . As pictured, easy to assemble. It's the perfect touch for any event. As a dessert box for chocolate or party favors, it adds a fun twist!